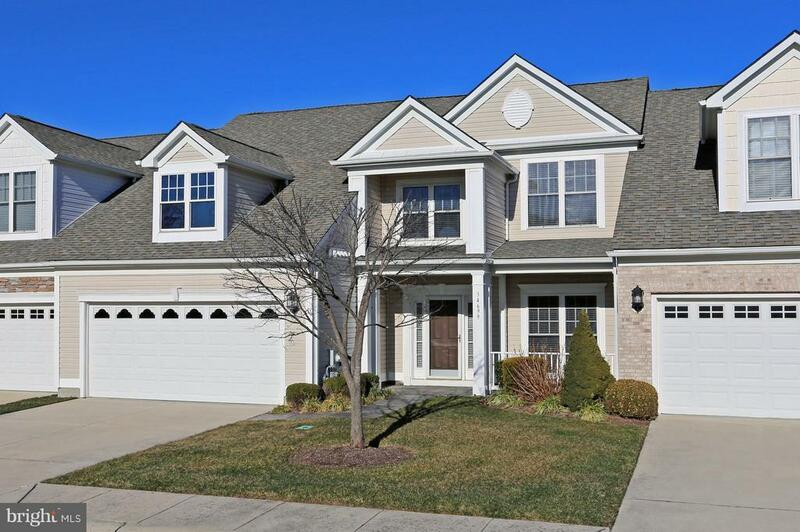 Welcome to Bay Crossing, one of the premier 55+ communities in Sussex County! Strategically located east of Route 1. This home has been lovingly cared for and the soft colors throughout give you a sense of calmness. Enjoy living on the first floor, yet accommodating family and friends with two additional bedrooms and a bath on the second floor. The open floor plan and spacious rooms invite you to enjoy the space yourself or plan a get-together with your friends. Hardwood flooring was installed last year. A gas burning fireplace with mantel will warm you on those cold, winter nights. Special dinners can be served in your formal dining room which is enhanced with crown molding and wainscoting. And youll enjoy cooking those dinners in your fully equipped kitchen with granite counters, stainless steel appliances, gas stove, and tile floor. At the end of the evening, youll finally retire to your master bedroom with a ceiling fan and crown molding. But wait, maybe before going to bed youll want to jump into the shower or take a leisurely bath in the soaking tub. And as the days begin to warm, enjoy the three season room located just off the kitchen. Great views of the patio and common ground that surrounds your home. So many things to do in Bay Crossing: swimming, tennis, pickle ball, bocce ball, shoot pool, play cards or table games in the Clubhouse, join the many organized groups that play golf or go bowling. Theres always something to do to make your days and evenings fun filled. And finally, this special place that you will call "home" is located close to the beach, fine restaurants and tax-free shopping at the outlets. A home like this doesnt come along too often so plan on seeing it today before its gone. Youll be glad you did!